On Wednesday, Apple released a long awaited update that brought new channels to its Apple TV, including WatchESPN, Sky News, and HBO GO. HBO GO has been available on other platforms like the iPhone and iPad, Roku, and Xbox 360 for quite some time, but it was only in January that reports surfaced suggesting that Apple and HBO were in talks to bring HBO content directly to the Apple TV. In a post that includes an interview with HBO chief technology officer Otto Berkes, The Verge details some of the reasons why it took so long for HBO to get its content on Apple's set-top box. According to Berkes, the primary reason for the delay was the creation of the app itself, as it was developed entirely in-house. It is unclear if HBO used an existing SDK to create the app, but that the app was devised by HBO suggests that other companies may be able to create similar apps in the future. Nothing is more time consuming than writing all the code involved and encoding HBO's massive video library, said Otto Berkes, HBO's chief technology officer, in an exclusive interview with The Verge. He said “optimizing the compression formula to deliver the high-quality video to the lowest bandwidth” is a massive undertaking. Getting HBO Go on the Apple TV might have taken longer had HBO not begun to boost the number of engineers working at the company's new development center in Seattle. Apple TV was the first app that HBO created completely in-house, said Berkes, a former Microsoft executive who started at HBO two years ago. Prior to Apple TV, HBO teamed with third parties on its apps, but “this was 100 percent created by our software and design staff,” Berkes said. Despite hiring extra engineers to complete the Apple TV project faster, HBO faced other delays. As highlighted by The Verge, complicated negotiations with cable companies are always involved when attempting to bring channels like HBO and ESPN to set-top boxes. For instance, Charter Communications has refused to authenticate HBO Go for Apple TV. Comcast blocks subscribers from receiving HBO fare on the Roku, according to HBO’s site. Dish won’t authenticate ESPN but it does authenticate HBO Go for the Apple TV as well as many other gadgets. Yesterday morning, when Apple announced it would offer HBO and ESPN, DirecTV wasn’t authenticating the device. By late afternoon, however, the satellite TV provider had reversed itself. 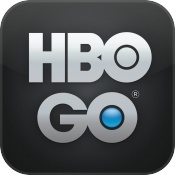 Though HBO GO is now available on the Apple TV, accessing the content is still dependent on a cable TV subscription. While many hope that content providers like HBO will at some point offer channels on a piecemeal basis that are not tied to cable providers, HBO garners the majority of its revenue through cable operators, which means cutting the cord is a risky prospect at best. Historically, the Apple TV has taken a backseat to the iPad and the iPhone, which also explains why HBO GO has been available on iOS since 2011 but didn't come to the Apple TV until 2013. Apple has, in the past, referred to the Apple TV as a "hobby project," though the company is rumored to be exploring new product lines that could eventually include an Apple television set. At the D11 conference in May, Apple CEO Tim Cook reiterated that television continues to be an "area of great interest" for Apple and that the company has a "grand vision" in place. Clearly some of you have no clue how hbo go works. I can't wait for Showtime to be added to the Apple TV. Um, first who cares. Great HBO is available on the Apple TV.... so? Since you already have cable, you have access to all of HBOs catalog via the cable you already pay for. Gee shall I watch GOT on the HBO GO channel on my cable box, or shall I watch it on HBO GO the AppleTV channel. Um, again, who cares? And I'm so glad they took the entire project in house and did it themselves, it looks... just like every other AppleTV app. Way to go HBO! Does the app allow you to watch whatever HBO offers on-demand? HBO's cable-based catalog of on-demand content is fairly limited. Game of Thrones, for instance, only has the current season's episodes available on-demand (at present.) The Sopranos currently has no episodes available through my cable-tv subscription. Via the AppleTV app, however, virtually the entire back catalog of HBO material is available. All eight seasons of The Sopranos; previous seasons of Game of Thrones, Generation Kill; etc. etc. Yes, the AppleTV version is 720 versus 1080; but its hard to complain about the quality. And if you feel the need for a binge-fix to get you up to speed on a show you didn't catch the first time around, the HBO AppleTV app is thing of beauty indeed. You can watch anything in their catalog of original series programming (including shows no longer on the air), and a large selection of movies. I don't know if it's everything they offer "on-demand", but check with HBO for the specifics. Correct, HBO On Demand, on cable, only has a limited selection of HBO shows and movies, which changes over time. HBO Go has their ENTIRE back catalog of series and original movies, plus special content. Awesome news for me because I haven't had Cable/Satellite in years. Next Cinemax GO, Epix and Amazon Prime on Apple TV and I will buy it tomorrow. my question is -- why hasnt Amazon Prime allowed AirPlay out on their app? if they did that, problem solved. Yes, which is why all this stuff is going nowhere yet. I think HBO, ESPN, etc. are waiting for contracts and agreements with cable providers they have to expire so they can offer these subscriptions without cable. It will just take time. Their first step is that the apps are out there. Cable companies are rich dinosaurs, and hopefully networks of value such as HBO and AMC will shortly abandon this anachronistic business model. It's nice to have HBOGo on AppleTV, but I can't wait for the day I can simply pay $10-15/month to Apple for HBO instead of $110/month to ***** Time Warner Cable.